Andreas Hildebrand is acting as Senior Product Manager and Evangelist for the RAVENNA technology developed by ALC NetworX, Germany. His experience is based on more 25 years of occupation within the Professional Audio / Broadcasting industry. He received a graduate diploma in computer science and worked as a software engineer and Head of Development for companies in Germany and the US for several years. Later engagements included senior project management responsibilities for a news system implementation at CNN-SI / Atlanta and WNPR / Washington D.C.
Before joining ALC NetworX, he was leading the Product Management at DAVID Systems, an internationally operating software company in the Professional Audio / Broadcast market. 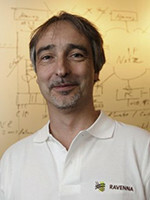 He is a full-time participant in the AES Task Group defining and maintaining the AES67 AoIP standard. He is also acting as Co-Chair of the Technical Work Group of the Media Networking Alliance and is participating in the AIMS Technical WG and the SMPTE ST2110 SVIP standardization. Ralf Michl: Being engaged as a software engineer in the Broadcast industry for more than 15 years, Ralf has developed strong skills in the design and programming of databases, back-end services and network communication interfaces. While mainly working in Java environments, he also has strong experience in C/C++ programming. He is leading the R&D activities at ALC NetworX. Other members of the R&D team complement the company's overall know-how by contributing strong and long-standing experience in the fields of embedded system design, Linux operating system environments, network device development, web services and client / server applications. 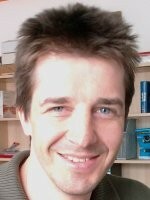 The company is led by CEO Philipp Lawo. Philipp also chairs the Lawo Group and is CEO of Lawo AG, Rastatt. Lawo AG has been a manufacturer and supplier of premium mixing consoles and audio switchers for the Professional Audio / Broadcast market for more than 40 years.